In a few days from now, Royal Enfield will launch the BS4 Himalayan on-off road bike with a new paint scheme. 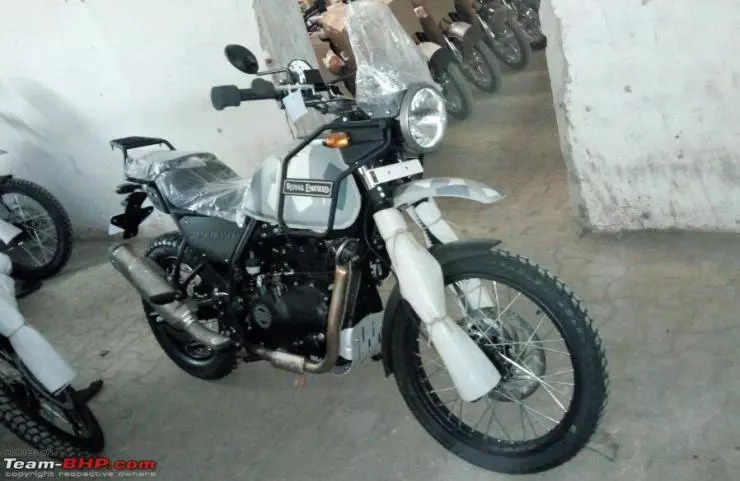 The camouflage paint scheme will be offered on the white coloured Himalayan, and will be similar to the limited edition Classic Camo that Royal Enfield used to sell sometime back. There is no indication of a price hike for the camouflage coloured Himalayan 410. We would not be surprised with a Rs. 2,000 price increase for the bike featuring the new paint scheme though. The Himalayan 410 BS4 is a heavily reworked Version 2 of the bike. 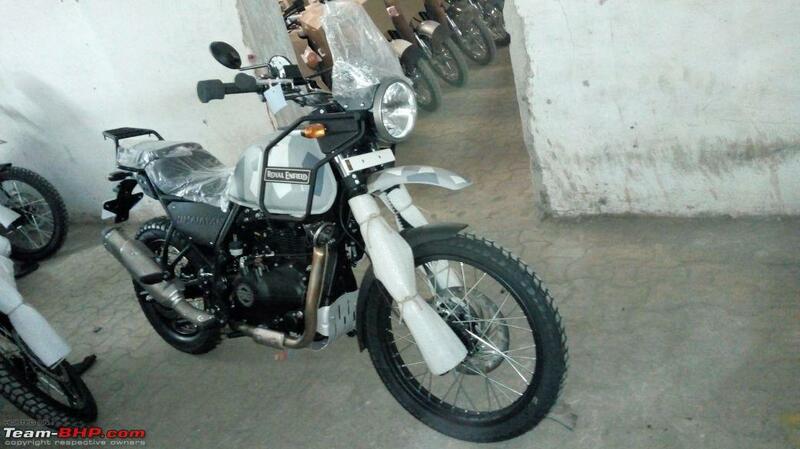 The version 1 Himalayan had a lot of design and quality issues. This led to reliability being compromised and many owners complaining about the bike. Royal Enfield pulled the bike off the market for a brief period and came out with a new version that was also BS4 emission norms compliant. The BS4 bike, which was launched in late 2017, is said to be much more reliable and niggle-free compared to the original model. The Himalayan BS4 is powered by the same 411cc four stroke (78 mm bore x 86 mm stroke) engine that was offered in the Version 1. The engine uses two valves and an overhead camshaft. The key change on the BS4 version of this motor is that it gets fuel injection as standard. The engine makes 24.5 Bhp of peak power at 6,500 rpm and 32 Nm of peak torque at 4,250 rpm. It is air and oil cooled, and paired with a 5 speed manual transmission. The Himalayan has one of the best ground clearances on an affordable bike in India – a full 220 mm. It has a 191 kilogram kerb weight, and gets a 15.1 liter fuel tank. With an average fuel efficiency of about 30 Kmpl, the Himalayan has a tank range of around 400 Kms. It features telescopic front forks with 200 mm travel and a monoshock rear shock absorber with 180 mm travel. Disc brakes are standard on both wheels, but ABS is not yet available. Export models of the Himalayan offer ABS as standard though, and Royal Enfield is expected to soon offer this life-saving feature on the Indian versions as well.